Many members of the euphorbia family, including the genus Euphorbia, contain a poisonous milky-latex sap. The toxin is a mixture of diterpene esters, and contact with the skin may cause inflammation and a blistering rash. An Australian company called Peplin Biotech is conducting research on the sap of E. peplus as a simple topical treatment for certain skin cancers, such as basal cell carcinomas and squamous cell carcinomas. These are the most common human cancers, particularly in people who spend a lot of time outdoors in direct sunlight. For years, people in Australia have used the milky sap of E. peplus to cure cancerous spots on their skin. The fresh sap from E. peplus is applied directly to the cancerous spot. After a few days the area develops into an enlarged, swollen sore, followed by a scab that eventually dries and falls off. According to Peplin Biotech, the sap penetrates the skin and destroys the malignant tissue. Warning: Plants may cause contact dermatitis. Also it is paramount that euphorbia�s sap be kept away from the eyes, as there are also cases of Euphorbia sap keratouveitis, which is a sight-threatening infection. Keratouveitis is a term used when there is a combination of keratitis and uveitis. Keratitis occurs when the cornea of the eye becomes inflamed. Uveitis is an inflammation inside the eye. The sap can affect the cornea �window� of the eye, which is always covered with a protective layer of tears, but it can be affected more seriously by inflammation because it is easily scarred and can lose its clarity of vision. Euphorbia peplus has traditionally been used as a treatment for skin conditions. 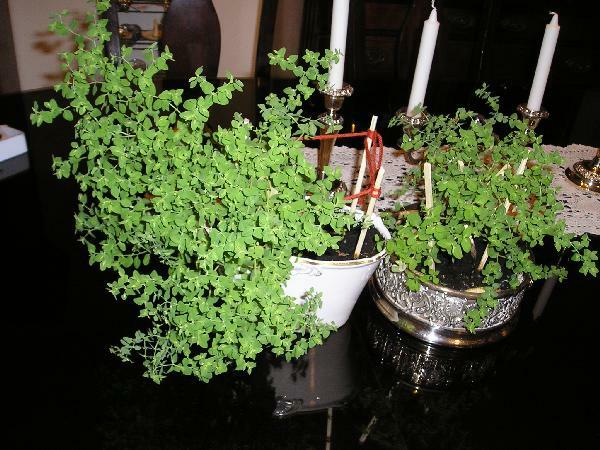 A recent study has shown that this herb has treatment potential for non-melanoma skin cancer. Early results are promising with basal cell carcinoma and squamous cell carcinoma. The white sap is excellent on skin cancers and insensitive external tumors. Milkweed produces a milky sap which contains chemicals that can control cell growth and death (apoptosis). An extract of petty spurge has been tested against cancer cells taken from eight patients with acute myeloid leukaemia, a particularly aggressive cancer of bone marrow stem cells. In seven of the eight samples it killed between 56% and 95% of the cancer cells at the top end of the scale. These results were even achieved using low concentrations of up to a hundredth of those that would damage healthy cells. The sap extract works by activating an enzyme called protein kinase C which triggers controlled cell suicide. * To review the traditional use (and toxicity, where reported) of Euphorbia species in medicine and survey their potential for agricultural cultivation. Background: Recent research by a small Brisbane-based, Australian-owned company Peplin Biotech Ltd in conjunction with the Queensland Institute of Medical Research has found that extracts from milkweed (Euphorbia peplus) and potentially other Euphorbia species (e.g. E.esula, E.lathyris, E.terracina and E.lagascae) have significant anti-cancer activity in mice and humans. Euphorbia is a large genus of some 2000 species with milky sap, often with poisonous or medicinal uses. It includes beneficial as well as weedy plants, of which some 45 species are found in Australia. Although milkweed and the other promising Euphorbia spp. are new to agriculture, environmental requirements for their cultivation have been established in the course of earlier research by Peplin Biotech and QIMR. The active compounds are unable to be synthesised on a commercial scale and have been patented by Peplin Biotech. An early version of the product has given >90% complete responses on skin cancers in a Phase II clinical trial. Research: A comprehensive literature review has been prepared with information being sourced from the resources of the Agricultural (DPI) and the Medical (QIMR) database systems as well as from the considerable library on the topic which is held by Peplin Biotech. This review discusses the presence of anti-cancer activity, the previous testing undertaken and the potential toxicity of the product. Outcomes: Peplin Biotech has discovered a novel class of natural compounds, purified from Euphorbia, which show great potential in the laboratory as a potent treatment for a wide range of human cancers including breast, prostate cancer and skin cancers. An early clinical trial on thick and thin non-melanoma skin cancers has confirmed that the compounds are very effective in producing long-term (possibly permanent) responses in human patients without any evident systemic toxicity when applied topically. E.peplus is one of a number of plants in the Euphorbiaceae family that has attracted attention as a home remedy for skin cancer because of its milky sap. However, a survey by Peplin Biotech of over 200 species of the Euphorbiaceae family has shown that only E.peplus has the desired attributes of anti-cancer efficacy. In addition, E.peplus is not a noxious weed, it grows rapidly, produces harvestable seed and it is potentially suitable for large-scale agricultural production. Methods have been developed by Peplin Biotech for the extraction and purification of compounds from E.peplus in the laboratory, and these are currently being scaled-up for commercial production. It is anticipated that the overall cost of producing the active ingredient in pure form will result in a commercially viable treatment, provided the cost of agricultural production can be kept low. Currently, the plant is sown and harvested by hand and tended in small plots. The limiting factor in capturing commercial value from these discoveries is therefore the availability of plant feedstock for the extraction of active compounds. Developing large-scale agricultural production can solve this problem. Implications: Anti-cancer compounds from a common but tractable weed are being developed by a Brisbane-based, Australian-owned biotechnology company (Peplin Biotech) with the assistance of the Queensland Department of Primary Industries and the Queensland Institute of Medical Research. The present project may result in a unique opportunity for primary producers to contribute to their own wellbeing through the development of an effective treatment for non-melanoma skin cancer. A new, specialist crop might also emerge. We plan to evaluate methods for complete mechanisation of E.peplus cultivation and sap production. This will include methods of seed production, since the current supply of seed will need to be greatly expanded. The requirements for large-scale agriculture will be ascertained, using the expertise and equipment pooled from the wide variety of specialists in the DPI. The next critical step is to develop methods suitable for broad-acre, mechanised production. Euphorbia peplus (Petty Spurge) is a species of Euphorbia, native to most of Europe, northern Africa, and western Asia, where it typically grows in cultivated arable land, gardens, and other disturbed land. It is an annual plant growing to between 5�30 cm tall (most plants growing as weeds of cultivation tend towards the smaller end), with smooth hairless stems. The leaves are oval-acute, 1-3 cm long, with a smooth margin. It has green flowers in three-rayed umbels. The glands, typical of the Euphorbiacae, are kidney-shaped with long thin horns. Thanks for all your input, it is appreciated. I looked into Milkweed a while back the results remind me of bloodroot. I am hesitant to try it. Any thoughts on this? One reason this forum is so good is that many people are still exploring many alternatives. Plants have always interested me, including their healing properties. So I read this new topic with interest. I then did a little research on a cousin of the Euphorbia described here (Peplus) which I knew to be growing in my rock garden here on the East Coast, because I had gone out into the wild and transplanted it, sheerly for its beautiful foliage, strange flowers and seedpod formations. That cousin is "Cypress Spurge (Euphorbia cyparissias), a plant in the genus Euphorbia." My thought was that perhaps the "cure" was growing in my own garden ! I think I learned something important for all our readers from pursuing this new topic. The point is, BE REALLY CAREFUL before applying an unknown substance "just in order to try it." The POSSIBLE DAMAGE described by posters above this message to the EYE caused by Euphorbia Peplus on the face (anywhere NEAR the eye), leading possibly to uveitis is really important to note. We don't need BLINDNESS as well as cancer ! 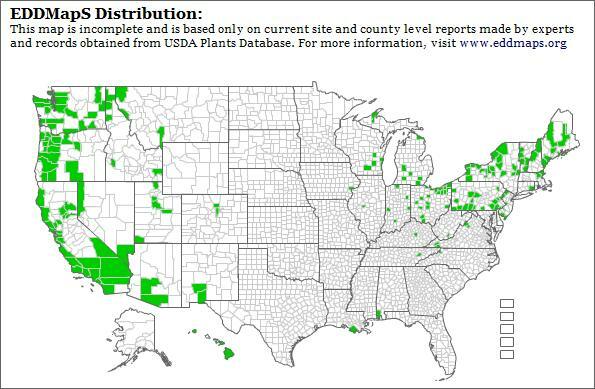 My little East Coast plant has the milky sap similar to EP but is written up as possibly causing dangerous rashes, even to the point of needing operations. So, BE REALLY CAREFUL. Don't just "TRY" stuff. Be thankful that there is a forum here of informed people who are studying all these things and gathering information and reporting carefully on results. This should be a big help to all of us. There is also a older thread on petty spurge for skin cancer, on this forum. Posted on 9-25-2007 by ffroest ........ it has a really good photo of the plant in it. Also has more links for info. In 2001, no forum then, the basal cell carcinoma on the inside top of my nose right down to the corner of my eye, grew back with exploding speed. My father had just died and I was in real complex grief. It was huge and you could see me coming. Well it seemed huge to me. I had already had it cut out once before and I couldn't tell you how many times I had the old ice treatment. The sap from the Milkweed plant straight from my garden completely cured it. I have been using it ever since. My doctors and skin cancer specialists couldn't believe it when they saw my face all clear. My story's a long one so I won't go on. Happy to answer any questions. Peplin's Phase III trials haven't started yet, so I suspect it will be a while yet before the gel is on the market. Last night I heard there was a vaccine being developed for skin cancers and could be on the market in 5 years. Here is the link to the story. It's interesting. Thanks for the info! was the milkweed you used from your garden the Euphorbia peplus? Here "milkweed" is something else. How did you use the plant after you picked it? did you rub the leaves or plant parts on the affected areas of your face? how often, etc., etc., - details are good, the more the merrier!!! Thank you for your post and telling me about your experience!!! I was hoping Peplin was further along. Thanks for the info on Peplin and about the vaccine. Looked at the vid link you posted and frankly vaccines combined with cancer frighten me - i don't think i would be in a hurry to try it out--- maybe after they have about 20 yrs of follow-up on trial vaccine users. Thanks again! Sorry for the delay. I forgot my password and the password admin link didn't work when I requested my password. So here I am now. Ok as far as I am aware it is the same Euphorbia peplus. The garden nursery lumps these into milkweeds here in Sydney in my area. But hey what does your milkweed look like? What type of skin cancer do you have....? Mine were very deep BCC's. I used the sap from the stem. The application varied, depending on the result I got after each application. I tried Curaderm too, but found it too slow. The sap was so efficient. I believe the vaccine link I sent to you will be given to children aged 10. It's not for adults as far as I understand it. Hope this helps. Look forward to hearing from you. Could you give a little more info to me about your use of milk weed? When you used curaderm how deep where the holes? did you put the milkweed on top of the curaderm spots or did you let them heal and then start the milkweed? Did you put the milkweed on and cover them or leave them open? Be careful WHICH milkweed you are thinking about using. What is called "milkweed" up here in the Northeast US is NOT the same as Petty Spurge. They are not even in the same plant family and do not have the same characteristics. Before using "milkweed," I think anyone interested should look up both Asclepias syriaca (the Northeast type frequented by Monarch butterflies) and petty spurge (Euphorbia peplus)which some people on this message thread are referring to as "milkweed." Also, be aware that the sap of Petty Spurge can be dangerous when used around the eyes. Best to you all. I stopped using curaderm and started using milkweed. Milkweed is a common name for many white sap plants/weeds. It's botanical name is Euphorbia peplus. It has a curly leaf. It's not a tall plant, quite small. I believe, well I had been told by our garden nursery here in Australia, that it is worldwide in gardens. I covered the BCC with tape after applying the sap from the plant. I found with the milky sap the BCC never went into a huge hole, like it tended to do with curaderm. I had a small area on my leg after a BCC biopsy, that was still cancerous, so I started using curaderm on it and it began to go into a small deep hole. I stopped using it and switched to the milky sap. It went within a couple of weeks. My BCC took up the top corner of my nose right down to the corner of my eye. Whilst I did not apply the sap right down into the corner of my eye, the sap found it's way into the cancerous cells. It's like when you wash you face, you don't want any cleanser or product in your eye. So it makes sense to be careful of eyes. Given this I still applied the sap close to the eye carefully and I had no problems. From some of the posts I read, it may be that certain parts of US and Canada may not have this particular milkweed plant/sap. Marsha ask your garden nursery if they know whether Euphorbia Peplus grows in your gardens. I would be really interested to hear what they say. Thanks. Does anyone know if Euphorbia peplus grows in Florida? I've seen pictures of it growing in Hawaii so I know it can take warm climates. Also, does anyone know where you can get seeds or plants? Finally, I heard that Peplin completed it's phase III clinical trials...can you buy the stuff yet? some states also list the counties in which it has been known to grow. Pikirimy - what kind of tape did you use to cover with? a bandage tape or band-aid type thing? it doesn't look like it is available just yet from what i could tell on their website. Thanks for that info. Since it's a weed, I doubt I could buy it from a nursery??? I wonder if anyone sells seeds? I found a place where you can buy the seeds. Are you going to order and can the seeds be shipped to the US? I have read all the posts on this forum, and it seems you have tried many things. Have you given up on the black salve? I have used a drawing salve called icthymol ointment on a cyst and it drew out its contents. Have you tried this or honey? I have a 4mm bcc just diagnosed on my face. What is your opinion on the best natural treatment? Why no, I have not. As a matter of fact, I am using it rite now. A place near my collar bone. about 13mm, or 1/2 inch in diameter, in its un-treated size. .... much larger, about 1 inch in diameter, during treatment with hoxsey type salve. I have experienced very little burning type pain from it's use in that area. ..... and no pain of any other kind, caused by the salve. .... but if you use it on your face, their are more nerves there, and it it more painfull there... more sensitive there. After day 2 or 3 the area did get sore to palpation, but that soreness was not caused by the salve, it was the result of a eschar, or dead flesh being expelled from the living tissue. The pain factor for using the hoxsey salve/black salve is highly over-rated by people on this message board, in my experience. I had this particular skin cancer for about 5 years, [I think.] I used it as a test bed for other kinds of skin cancer remedies. None of them that I tried could go deep enuf to destroy the deeper roots of this cancer. I believe it to be a type of basal cell carcinoma. .... of which there are about 20 types. It turned out that it went much deeper down than what the surface symptoms indicated., or implied. That is why the other skin cancer remedies could not destroy it completely and finally. The deeper parts of the cancer were too far down. Yes, I have tried honey, I think. I tried raw garlic, wild oregano oil, raw fresh comfrey leaf, pine sap, baking soda, flax oil, and some other things. I am familiar with icthamol, I think I used some on this cancer about a year ago. I had forgotten about it, tho. This is chemical surgery. And just like knife surgery, flesh is going to be removed from your skin, maybe deeper than your skin. Just like surgery, there will be a hole left, where the surgery was performed. This will be filled in with a] scar tissue b] new skin ... or c] you go to a plastic surgeon and ask him to fix it, just like you do after knife surgery .... there aint no difference. BUT, this chemical surgery is bloodless, and you do not have to deal with blood loss. It [chemical surgery using hoxsey-like salves] is also sterile, or anti-biotic, so you don't have to deal with germ infection control, except for keeping the area bandaged and salved. The cancer salve is not caustic; it does not burn or char tissue in your skin. This mis-conception is repeated over and over, even in websites about the salve. People are getting the wrong impression of the method that this salve uses to kill the cancers. When we say it "burns" we mean it feels like a burning type pain.... as when we get burned from fire, and it hurts for a few hours afterwar. We are describing the pain sensation we feel, we are not describing it's physical action. No physical burning or tissue destruction by caustic acids/alkalines takes place. It can be also described as "stinging" type of pain. It does KILL the abnormal tissue. It does cause the death of the abnormal tissue, and does so almost instantly. But it does not "burn" it, or "causticaly" destroy it, per se. Instead, the abnormal cells die from within, due to their drinking in the zinc chloride, across their cell membranes. They are then targeted for death by the body's immune system. They die very quickly. Normal, healthy cells do not allow the zinc chloride to pass thru the cell membranes to the interior of the cells. What happens instead is that the abnormal tissue and the cancer tissue dies. It dies and the blood leaves it immediately, and it turns white. [in most cases]. Because of this leaving of the blood; their is no blood loss when you do this chemical surgery. NO blood loss at all. A perfect surgical excisement of diseased tissue with no blood loss at all. This is where the action of the salve is so superior to manual knife/laser surgery. It removes only the abnormal tissues, and does it without the loss of blood. This is Esquisite in it's action. ANALOGY: Using cancer salves to chemically remove skin cancers is like riding in a cadillac. Using a surgeon's knife/laser to remove skin cancers is like riding in a dog sled. The body then senses the dead, bloodless, tissues as foreign, and seeks, and causes, their separation and removal from the body. ...... Infections are rare, because the salve is a anti-biotic, and the healing salves used afterwards in the healing phases, are anti-biotic. Natural, local, anti-biotics. Infections at the surgical site never seem to occur, as long as normal cleanliness around the site is observed, and as long as any garden variety healing salves are used in the follow-up phase. I believe the active ingredient in it is the soldering paste. Zinc chloride. The bloodroot probably helps too. The killing phase lasts about 24 hours, then you remove the black salve, and put a drawing salve on it for about 7 days,[icthamol should be a good drawing salve for this purpose] ..... then the eschar comes out completely .... then you put a healing type salve on it, something with comfry in it, ..... while the skin tissue rebuilds the hole in your hide .... for about 3 or 4 weeks, or more. ...but your 4mm place is very small, so I think maybe the hole the black salve leaves will be small, and not too deep, and will probably fill in nicely during the healing phase. Using it is like doing chemical surgery on yourself. YOU can not apply the salve as if it were a skin cream, or hand lotion, or any other medical type salve you have ever used. It is very powerfull. .... YOU must control the number of cancers treated at any one time, and limit it to one cancer area per treatment. [for those that have multiple skin cancers] .... YOU must control the size of the area to be anointed with the salve. YOU must control the bandaging of the area to be anointed with the salve. YOU must know exactly how to do these things. If you can not, or will not, or do not want to, find out how to do these things .... then DO NOT USE THIS SALVE. Go to a naturopathic type doctor instead, and let him apply it to you. Or go to a herb doctor and let him apply it to you. Failure to correctly apply this salve can and will result in a catastrophe that will cause you pain, scarring, and suffering. If you can not obtain and follow the directions for using it, then do not use it. .... see fforest posts on this message board for more warnings about what can happen if you do not apply the salve correctly, according to the standard operating procedures. Thank you so much for your support and lengthy reply. One part was intriguing. "If you want and need to get rid of...." Actually I have no need to get rid of it yet. It was diagnosed two weeks ago, it is on my upper lip halfway between nose and mouth. It is a bcc but I don't know which type. Is it important to find out which of the 20 types it is? and it is my inclination to "forget about it" but the derm thinks it "could spread to my nose or mouth". They are trying to ruch me into MOH's surgery. When I asked for options, they said EDC in the derm's office, but if it comes back, then I have to have MOH's. The black salve cansema remedy sounds a bit scary. I have read a lot about this. I got some seeds, grew the seeds into plants, and I made my first application to a biopsied BCC that was returning after surgery. My plants are still small, so I wanted to do a trial. The area is on my forehead. I used an amount of....imagine some milk on the end of a pinhead, mainly because that's all the sap that came out of the small branch I cut off. I have applied that much for two days and the area had a pretty violent reaction. I had at first a swelling reaction maybe the size of a dime and some pain, not a lot but you could tell something was going on. So now after two days I can tell I'm going to have a skab. The skin feels sort of mushy underneath and has crusted over on top as if it's all dead. After the first day there was also some clear oozing fluid. So according to what I've read, the treatment is usually as little as two or three days, and based on how it looks now I think I've done enough. So I'm going to see how it heals up, and I will report back in a few months with the results. I am encouraged though. Based on what was visible to to me prior to treatment, that has been eviscerated and then some. It seems to be very powerful stuff. I'll put it this way. It's not at all like I'm sitting here wondering if it did something or not like many of the treatments I've tried. Here is a site I found that I thought was really good on petty spurge. It emphasizes not to get it in your eye and I was very careful about that. I washed my hands thoroughly and put a band aid on it. Did u order the seeds from australia? How long did it take to get them? it sounds like it doesn't take much sap to zap! Did you order from the beautanicals web site you posted above? Thank you! Keep us posted! I got them from the link and they arrived in about 10 days. The seeds are very very small and take about 10 days to germinate and the germination rate is close to if not 100 percent. The plants also grow fast, I think mine have been growing around a month and one is already about six inches high but I've been cutting it faster than it's growing. They seem to do best with well drained soil kept on the wet side and medium sun...some sun some shade during the day. I have ones growing where there is little or no direct sun and they are doing poorly. The one doing the best is the wettest and with the most sun. One kept dry with a lot of sun died. The best one has been watered every day and I used a pinch of miracle grow a couple of times and it seems to really like that. Although it is only 6 inches tall it's a bushy little guy and it already has the seed pods forming in the upper branches. I have been using the little lower branches which are only about as big around as maybe half the diameter of a pencil lead or the size of an engineering pencil lead. So I did do a followup treatment. After two days of treatment, today on the fourth day I cleaned the scabs off with a q tip and peroxide, and based on looking at this area a lot, there was still one area that looked a little suspicious maybe a quarter inch in size adjacent to the spot from the original biopsy, although the area that was initially visible that I had spot treated for the two days looked good but looked like the original biopsy site in terms of how much skin was missing. So I decided to experiment on myself by applying it to a broader area, which included this suspicious area and that area that had been treated thoroughly and looked like a depression in my skin but clean. In other words, not healed, but the area looked to me cancer free having looked at this area probably a zillion times by now. So anyway, this was interesting. After applying a small amount to a round area about the size of a dime, about 4 hours later this suspicious area of about a quarter inch within the treatment area started to look like cooked pepperoni while the rest of the treatment area remained relatively unaffected including the deep depression area I treated the first time. It seemed to be leaving that alone this time. About 8 hours later, the pepperoni area is all starting to look very dead like it's all just going to slough off. It is an irregular shaped patch that was not clearly visible before the treatment. I suspect that by morning this area will look like the first area I treated. I want to emphasize that I'm not talking about a superficial layer of skin sloughing off. I'm talking about a thick chunk of dead pepperoni floating on a bed of jelly that goes right down to the lowest dermal layers. That's what it looks and feels like. This is a vigorous and deep reaction. So if I am reading this right, this stuff has highlighted and is eating the remaining cancer. It is definitely going strongly for an irregular area within the treatment zone while leaving other areas unaffected or not very affected...I need to emphasize that is is a strong reaction on the suspect area. It's like it is turning the skin into cooked pepperoni right in front of your eyes. Also, I am using only an extremely small amount of this stuff. One applicatioon for me is a pinhead sized amount of the sap applied with a small artists brush. At this point I would be hesitant to use more than that based on how strongly it reacts. It is far stronger and far faster acting than 5% efudex which I have used before. I have never used bloodroot so I can't compare to that, but it is far stronger and far, far faster acting than anything I have ever used. Like I said, in 4 hours you can see and feel a major effect. I'll post more as I continue experimenting on myself. So time will tell. Tomorrow I'm going to wash it off again with peroxide and see what I think it looks like, and if it seems like it got everything I'll just let it heal and see what happens, or I might just treat the whole area again tomorrow and see what happens. The one thing I can say I think I believe strongly so far is that there is no doubt whether this "does anything" or not, and it also seems to be specifically targeting certain areas within a treatment zone with a vigorous reaction. Overall, after trying every big pharma and home remedy I know of including most if not all on this board, this looks extremely promising to me. My biggest concern at first was that it was going to eat a hole in my head but now I can see that it is specifically targeting what I believe to be the remaining cancer...but I still don't want to eat a hole in my head. Also I have noticed that the treatment area is about the size of a dime, but there is a mild swelling in the forehead of a circumference of about TWO INCHES. This is from a pinhead sized application. I have been very careful not to get it anywhere except the treatment area and to keep it covered with a band aid. One experiment I'm going to try is to apply some to a random patch of skin and see what happens since I am already making myself a human guinea pig. I wanted to update my previous post while it's fresh in my mind. It's 24 hours after the last treatment, I showered off and cleaned my head thoroughly, then applied some peroxide. The area that was like pepperoni within the treatment area is now a thick hard scab of completely dead skin which appears to go just about all the way down to the dermis. It's a thick, hard, irregular scab. The initial area I treated within this treatment area remained relatively unaffected in this followup treatment except for a few pinpoint sized scabs which I suspect may be remaining cancer cells it didn't get on the first round. The perimeter or the dime sized treatment area has sort of whited out skin, which may peel, but it's not going to scab like the area it went for. The 2 inch diameter swelling I had around the treatment area at about t=12 hours is almost non visible now. That was a bit frightening but I suspect it was some sort of immune system reaction to the treatment. Overall, I say the area looks excellent and I believe this stuff got it all. I have no pain, and the skin except for the scabbed area looks regular, smooth and tight. Put it this way, after a year or more of messing with it and dermatologists messing with it, it looks more like it has been totally eradicated than it ever has before. So I am not planning on any further treatment at this time. I will report back periodically to say if it returns or not. I will be very grateful for this forum if it's healed because following the biopsy the dermatoligist/ overpaid deli worker wanted to do mohs surgery at a cost of over $2,000 and then follow up with a plastic surgeon. This treatment cost me about ten dollars for the seeds. I want to note that the action of this medicine correlated exactly with where I thought the remaining cancer was, but attacked a larger area than had visible symptoms. Meanwhile I am so encouraged by the results on my forehead that I've applied it to a couple of suspicious spots on my leg and it is having the same pepperoni making effect on the suspect areas within the treatment zone. I will also report back on those. I think it's possible that I've made my last visit to the dermatologist after going every six months for the past many years. I would also like to say that I would emplore anyone who experiments on themself with this stuff like I have to be very careful. It is very strong stuff. I wash my hands and my sink area thoroughly and I have kept treatment areas bandaged until I get in the shower to thoroughly wash it off. This area on my forehead was about 3 inches or so above my eye and I had no eye symptoms. The treatment was markedly painless considering the extent of the effect it had. I have some updated information based on my continuing research. - I was initially cutting off a branch and sticking a small paintbrush against the plant side of the branch to extract the sap. I have since found that all I have to do is to cut off a leaf at its base and that is much more efficient and much better. The sap is white but it is fairly viscous. It isn't thick like latex. It's watery like mineral spirits. It absorbs into a brush in an instant. I have also found that the leaves contain the active ingredient and if I don't have enough sap I can mash up a leaf in a teaspoon and add a drop of water and that appears to me to have the same therapeutic effect. - I have been in contact with someone from Australia who has used it on many occasions, and he told me he used it in a way such that he applied it once a day until the suspect area scabbed over and healed. In other words he used it until there was no more reaction.For me that was important information since I stopped my head treatment after only 3 treatments. - I have finished off the biopsied bcc on the head. This treatment has had the benefit of removing the biopsy scar and although the area is still peeling (not completely healed) it looks all brand new like nothing ever happened at the site. At this point it looks like an abraision happened. My head seems to heal very fast so I expect within a week there will be no visible evidence of any prior treatment...we'll see. - I am now using it on what I suspect to be a slow growing SCC on my lower leg. My suspicion is based on having biopsied confirmed ones before. The leg is much less reactive. I have been using it for about a week so far and it has eaten a large crater within the treatment area that now appears to be improving (becoming less reactive). On this one I plan to keep using until there is no more reaction but based on the reaction so far, it has already eaten deeper than my (now ex) dermatologist would have cut out with a knife. It has swollen very slightly but so far it has been completely painless although it looks pretty ugly right now. -summary...I am ecstatic about this plant. I have at this point abandoned all other treatments and experiments because for me, I believe this is a cure, I just need to do more work to figure out the optimum way to extract and use it. I will continue to post my experience with it. Please do keep posting, with all that good detail. This approach is very interesting. -head is still healing, deep scabs are gone, the skin appears normal and flat, and it's almost fully healed. I am very optimistic that this confirmed bcc is gone but only time will now tell. My petty spurge treatment has had the beneficial effect of wiping out the biopsy scar, and provided nothing returns, I am going to have no visible evidence there was ever anything there at all which I'm very happy about for the middle of my large forehead. -I am now into about 10 days of once a day treatment of a suspected slow growing SCC on my leg above my ankle. In this area, which was far less sensitive than my forehead, in applying the sap to an area about the size of a nickel, the extract clearly identified three spots within that area, and ate small craters into 2 and a large (1/4 inch) and deep crater into one. As I have continued to use it, the area keeps looking better and better, so now I am trying to decide if I should just stop considering it cured, or try to just keep using it and see if the area returns to normal looking while using it. In sharp contrast to the forehead, where it will scab even normal skin, the leg is much more resilient and it appears to me that unless it gets hold of a cancer, all I experience is mild irritation and redness. - I am into day 3 of treatment of a confirmed and supposedly removed SCC on my arm, which the dermatologist cut off, then used EDC which left a big scar, and have since had some redness and activity around the edges of the scar indicating to me something is going on. The dermatologist said he was 99 percent sure it wouldn't return, but I have lost nearly all confidence in dermatologists, and that is based on more experience with them than I have room to type. So anyway, sure enough, the sap is starting to dig in to the areas I was concerned about while leaving the rest of the area alone. I plan to use it for a long time on my arm because I want to completely eradicate anything that might still be present. - I am using it on a spot on my upper leg which again I suspect could be SCC. The dermatoligist wanted to "keep an eye on it" but I can tell something's going on. So once again, it is digging deep into the areas I was concerned about. I'd like to say that in spite of digging in deep, the treatment has been virtually painless and I believe all areas will heal up very nicely, far better than the knife. My biggest problem at the moment is that I'm using the plants faster than they are growing, and also that some plants aren't thriving and others are. That's more of a horticultural problem than anything else though. I continue to believe that this treatment is working an order of magnitude better than anything else I've ever tried or been prescribed. Only time will tell if it is a complete cure, but the good news is that I have no more spots I'm worried about so if it works on all these, I have no need to see the dermatologist any more. Given that almost everything I've ever had treated by a dermatologist has returned at some point in spite of assurances they "got it all", I figure this is the best thing going for me at the moment. I'm trying to figure out what treatment durations work best and that's going to be hard to say until time passes to see if any of this ever returns. Lastly, I'd just like to say that I have had one melanoma, and several confirmed SCC and BCC. So has my dad who is now 80 years old and still going strong. So I'm done freaking out every time I get something. If I have anything that looks like a melanoma I will see Dr Hacker and have him cut it out, but otherwise I'm hopeful this will be a viable self treatment option for everything else. I'll report back with an update. Research on a petty spurge product continues. Here is an abstract from Feb 2009 "PEP005 (ingenol mebutate) gel, a novel agent for the treatment of actinic keratosis: Results of a randomized, double-blind, vehicle-controlled, multicentre, phase IIa study" at http://www3.interscience.wiley.com/cgi-bin/fulltext/121644323/PDFSTART The link has pictures. "The sap of the plant Euphorbia peplus is a traditional remedy for skin conditions, including actinic keratosis. The active constituent of the sap is ingenol mebutate (ingenol-3-angelate), formerly known as PEP005. This randomized, double-blind, vehicle-controlled, phase IIa study investigated the safety (and secondarily the efficacy) of two applications of ingenol mebutate gel in 58 patients with biopsy-confirmed actinic keratosis. Five preselected lesions were treated with ingenol mebutate gel, 0.0025%, 0.01% or 0.05%, or vehicle gel, on days 1 and 2 (Arm A) or days 1 and 8 (Arm B). There were no significant differences in tolerability or efficacy between Arms A and B. Treatment was well tolerated. The most common local skin responses were dose-related erythema, flaking/scaling/dryness and scabbing/crusting. Efficacy was greatest with ingenol mebutate gel, 0.05%, which resulted in complete clinical clearance of 71% of treated lesions (P < 0.0001 vs vehicle gel). In addition, 67% of patients treated with ingenol mebutate gel, 0.05% had clinical clearance of at least four of five treated lesions (P = 0.0185 vs vehicle gel). Ingenol mebutate gel is being developed as a short-course topical therapy for actinic keratosis and non-melanoma skin cancer. In conclusion, ingenol mebutate gel shows the potential to be a convenient and well-tolerated new topical therapy with a short treatment course, favourable safety profile, acceptable local effects, and good efficacy and cosmetic outcomes." It is amazing that good results were obtained with just 2 applications. How is the spot on the leg doing? Are all the spots you had gone now??? Please update us! Thank you! Thank you for sharing this information and starting this thread!!!!! Have you tried the petty spurge yourself? I am very happy to report that so far, every spot I have treated has been cured. When I say cured I mean no visible signs of cancer and a stable area that doesn't look like there is anything active or remaining. So I saved about $4,000 on the confirmed basil cell on my forehead for which he wanted to do more mohs surgery and then plastic surgery, and even more importantly the petty spurge somehow even though it ate very deep, left no visible scar unless you look at it from the exact right angle and from a few inches away. Furthermore, the areas it ate would have never been successfully removed with mohs, because there was unconnected cancer. In other words, they could have got a good margin, but unknown to them there was another area 1 or 2 mm from the main part. The petty spurge found it all. I want to say thanks to this board. It took me lot of trial and error, and after trying basically everything with mixed results, I have a skin cancer treatment that works for me, and now I have a garden with petty spurge in it. I will follow up by saying that in spite of a vigorous initial reaction, I have found that for me the best way to use it is until the entire treatment area looks inflamed but all the same. Basically I just use it until I'm sure it's done doing it's work. On the spot on my leg it ate a hole the size of a pencil eraser about 2mm deep, but then as I kept treating it, it started to heal up while it was still being treated. It wiped out the surrounding suspicious area without going as deep. I still have a small visible scar from the deep area, but the rest of the area looks like fine new skin. I will do another report back in a year or so or if it returns in any of the spots. In the meantime I have a few AK's that I'm going to wipe out and basically I am done with dermatologists. I would encourage other people who are messing around with stuff that may or may not work to look into petty spurge. It's a great feeling to finally be in control of my bad skin and to have basically a free way to treat it instead of seeing Dr Hacker every 3 months. 2 of the 4 spots I was working on were areas that he had already treated and supposedly cured. Grrrrrreat!!!!!! Thank you for the detailed report! i am gonna have to get some seeds! poor Dr Hacker (every time i read that name for the surgeon i laff) what will he do now???? Maybe he'll miss a ferrari payment? I still plan to go there if I have something I suspect is melanoma. For anything else though, I'll use the petty spurge. Peplin should be coming to market soon with the gel PEP005 (ingenol mebutate) Gel because their phase III trials went well. I figure if I can grow it for free though, so much the better. All they appear to be doing is growing the plant on an industrial scale and purifying it and putting it into a gel. Don't get it in your eyes ! I suspect that's why peplin is going for a "non head" approval. Interestingly they are also working on a cure for other cancers using the same chemical from petty spurge. the petty spurge ... carefully! will be checking around for it - i think i have seen something that looks like it around here - it is reported to grow in this state. but will check the greenhouse and maybe have to get seeds. Hopefully you won't have to see Dr Hacker anytime in the near (or far)future and he'll just have to figure out some other way to make that ferrari payment. Thank you, again, for all your detailed information and your pioneering verve!!!! Thanks for making this a sticky! I wanted to update to say that I have just completed a course of petty spurge on my lower lip. My lip history is a biopsied and surgically removed SCC 20 years ago, and another biopsy 9 years ago which was AK but "couldn't rule out underlying SCC". I have used multiple courses of efudex 5% and also solaraze and all kinds of other stuff including freezing at the derm. I have a constant problem with peeling dry skin at the bottom rim of my lower lip and have to use moisturizer every day. So near my original biopsy site I could see something going on...so the petty spurge worked so well everywhere else, I just figured damn the torpedos and used it on my lower lip not knowing for sure what would happen. Day 3 - intense deep action deep scabs still no pain but I would have had blood if I tried to pull the scabs off. The action was deep. I applied a mixture of sap and liquid from crushed leaves once a day to my dry lip, then I made sure not to eat or drink for a few hours afterwords so the PS had a chance to soak in. Upon application it feels like cayenne pepper but that was the extent of any discomfort. I have felt no ill effects, unlike the efudex the treatment was painless, although by the third day of PS my lip looked like it looks after about 10 days of 5% efudex. The PS had a very rapid and intense action, but the action was confined to the spots on my lip that were known problem areas. It left some areas alone. The PS seems to not only have a very rapid action of killing the bad tissue, but it also seems to speed up the growth of good tissue. That is based on my observations of quite lot of use so far. I have settled on a method of using it until the skin looks all the same within the treatment area. This duration is different depending on the area. The head and lip were the fastest, the leg was the longest and arm was in between. I used it for several weeks on the leg, only days on the face and lip. So my lip is now healing and I have high hopes. My wife says my lip looks better than she's ever seen it...says it looks like a "new lip". It feels fantastic. Fantastic news! Please continue to keep us posted and if you did take pictures and are so inclined please post. I need to go find me some petty spurge. I didn't take pictures. I wish I had. Although I have very troublesome skin, I am now down to the point where I have no long term issues and I am just planning to treat things as they pop up. I am treating an area on my shoulder now which I believe to be a small ak, and I have used the PS for about a week on it. It has been painless, it scabbed over and I am still using it on the area although the scab has now come off and it all appears to be clear skin. Like I've said above, I have come to believe that the best way to use it, for me at least, is just to keep on using it until everything is clear....why not? It's free and doesn't seem to cause any adverse effects whatsoever but I have been very careful not to get it in my eye. I have found the most powerful composition to be extracting some of the white sap into a spoon, then COMPLETELY crushing up some of the leaves with a dental tool, and then just applying the entire thing to the area. I say that because it stings a little bit that way, and I have noticed the most powerful reaction from doing that. I have also tried just clipping a small leaf about the size of a pencil eraser, wetting it and then pasting the leaf directly to the affected area and covering it with a band aid. That generates a powerful reaction too. In terms of growing the plants, I have noticed the following things and I am by no means an expert in botany. - the plant likes well drained soil. The kind of potting soil with embedded styrofoam balls seems to work best. - they like a lot of water. I water every day. - they don't like the heat so much. I am in a hot area so I have them planted under the shade of larger plants. They do fine with temps below freezing down to at least 7 degrees f for sure, maybe lower. - The seedlings seem to stunt and die if they don't get enough fertilizer. I fertilize heavily with the liquid plant food once the seedlings come up. It has a very high germination rate but from my experience only a low percentage of seedlings survive to be mature plants and that is probably just because I'm trying to grow it outside of it's native climate. Right now I have only one large mature plant which I call Morris. He has saved me thousands of dollars in treatment and it's going to be sad to see him go since these plants are supposed to be annuals. I have 50 or so seedlings in the ground and I am hoping I can grow some of those to maturity. I am planning to try to cut and store some, but I have been told by someone in Australia that this doesn't work as well and down under they always use it fresh. Shoulder AK treatment update - a few weeks after treatment the area is now clear and the area treated has no visible signs that anything out of the ordinary ever existed. Now using on a more severe AK that could possibly be developing into SCC on opposite shoulder (symptoms, rough scaly patch 1/4 inch that routinely peels and occasionally bleeds if I pull off the peeling part) with similar results so far. All previously treated areas have remained clear including lower lip which feels fantastic. Would like to know how the Petty Spurge is applied. Do you make an extract? If so, how? If the pure sap is used - how much and how often? How long before you noticed any reaction? I have ordered and received some seeds for petty spurge from the link given here in Australia. I planted 8 seeds, 4 have sprouted, and are now about 1/2 inch. I look forward to trying out this interesting approach and inspect my petit seedlings every day. Thank you all for news on this topic. Re Petty Spurge: Is this the right plant? One reason to use the search utility is because sometimes info about topics gets dragged into the conversation on other threads. If you go to the thread called Thermosurgery, you will find a good picture of Petty Spurge there toward the bottom (I can't tell whether it matches your picture or not) and quite a lot of info which (unfortunately) really should be inside this thread, not that one. Here is the link to that topic: http://www.topicalinfo.org/forum/topic.asp?TOPIC_ID=539 . Good luck! I am still searching to find the plant - don't think the one I found is the right one... the leaves seem more elongated and around the stem the leaves are supposed to be alternate... not so in my specimen. I found some great pictures on this site (near the bottom of the page). Thanks for the picture links Irene! I have been casually looking as well but I now realize botany is not one of my strong suits. It looks like this link to the seeds is the best bet for people like me. Thanks for the map and pix - awesome!!!! Tried to post before, long post, lost in the system. Greetings from New Zealand. Have used milkweed, bad news for skin cancers, this plant is just a weed but it packs a big punch. Look at the pictures on this site!!! Amazingly clear. I have used their on-line form to see what their seeds cost. I will report back when I find out. Here is another page with great pictures. But they do NOT have the seeds available. I ordered (the seeds)from the link given also from Australia about 3 weeks ago and they came in yesterday, Canada Customs did open the package and said "It's on record"...whatever that means, but here anyway. I'll start to plant them this week and see what happens. I went to a few nurseries on the west coast (Canada) most never heard of it and tried to sell me other types of spurge. One person told they get most their seeds from one place in eastern Canada ( can't remember the name but started with "R". ), I checked with them and said it wasn't available , that's why I ordered from Australia which was very easy.